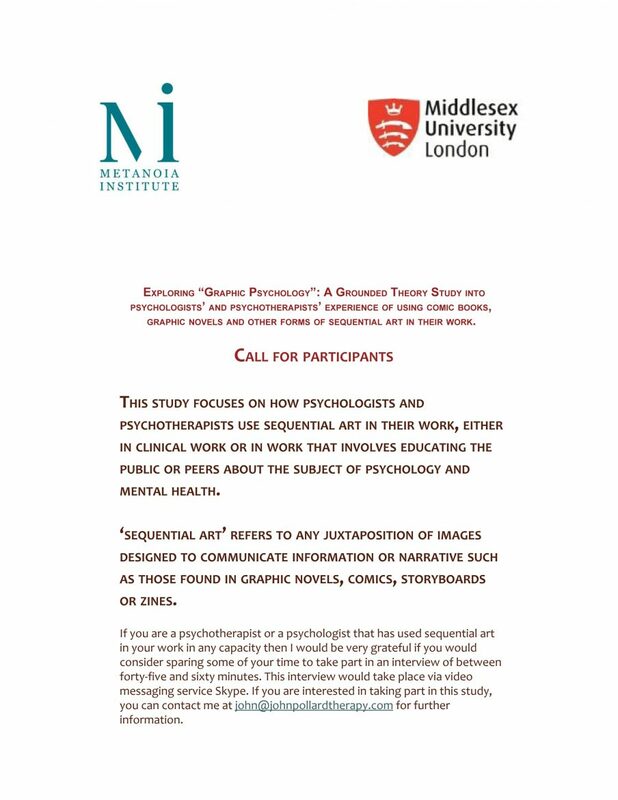 Home / Blog / Call for participants – using sequential art in professional psychological practice. 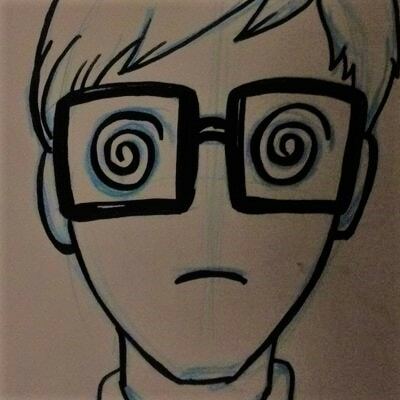 For those of you in the Graphic Medicine community that I have not had the opportunity to meet or correspond with, my name is John Pollard and I am a psychotherapist based in London in the final stages of a doctoral qualification in counseling psychology. My doctoral thesis is a piece of qualitative research exploring how psychologists and psychotherapists use sequential art in their work. This research aims to create a representation of how sequential art is used in contemporary psychological practice. Rather than attempt to make a case for the potential of sequential art and how it could be applied within the discipline of psychology, this research aims to give a platform to those that have already recognized this potential and have already explored applying sequential art in their work. I will use a social constructivist form of grounded theory to develop a “grounded theory” of how sequential art is/can be applied in psychological practice on the basis of the analysis of interviews with my participants. I am hoping to speak with qualified psychologists, psychotherapists, and psychoanalysts who have experience in using sequential art in some way related to their professional role. This could, for example, include using sequential art in talking therapy, academic research, or any form of public engagement such as producing a comic or graphic novel about a mental health issue or a form of talking therapy for public consumption. Regarding examples of clinical work, using graphic novels as part of bibliotherapy, using storyboards to develop timelines with clients, discussing comics clients have made with them, or discussed pre-existing comics or characters from comics, would all fall within practice I would be interested in hearing about. Despite my aim to keep my inclusion criteria for participants as broad as possible, my ethical approval for this study does depend on limiting my interviews to people trained as psychologists, psychotherapists, and psychoanalysts. I am also limited to recruiting English-language speakers. If you feel you meet the criteria above or know anyone that might I would be very grateful to hear from you. Participation would involve an interview of between 45-60 minutes either in person if possible or via Skype if not. For anyone who wishes to support this research by advertising it, please use the attached flyer or link to this page. I would be very grateful to anyone who helps to disseminate information regarding my research. Anyone interested in further information on this research can request an official information sheet from me at John@johnpollardtherapy.com. Thanks for taking the time to read this post. For anyone interested in updates regarding this research, you can follow me on Twitter at @pllrdj. Hello! Unfortunately, the flyer mentioned in the post isn’t up but if you would like a copy I will happily email one to you if you contact me via my email address above.